Note: An important purpose of the SUSTAIN.CAFE is to provide an opportunity for casual & informal discussion on sustainability. This means that emphasis is placed not on the academic accuracy of the discussion but on sharing the personal opinions & feelings we each have. The third SUSTAIN.CAFE was held on October 19th, 2012. The speaker was Professor Masaru Yarime, from the Graduate Program in Sustainability Science (GPSS), Graduate School of Frontier Sciences. Professor Masaru Yarime graduated from the University of Tokyo with a Bachelor of Engineering in Chemical Engineering at the University’s Hongo Campus in 1993. He chose to major in chemical engineering because he found it interesting how it had a systemic approach in addition to understanding concepts of physics, chemistry, and biology. His graduation thesis was on three-phased fluidized bed with a kind of mixture of thermodynamics and fluid mechanics in the chemical engineering department. He thought of working for the ministry but after asking his adviser on what he should do after graduating, he was told that his knowledge was not enough and that he studying chemical engineering for two years is not enough. Professor Yarime then decided to pursue further studies at the California Institute of Technology in Los Angeles for one and a half years. Professor Yarime decided to delve in the social sciences and he got to know a new program in the area of innovation, economics, policy studies, and technological change in Maastricht, Netherlands. He studied economics, policy, management, and technological innovation studies. And his doctoral dissertation was on the impacts of environmental regulation and technological change in the chemical industry, a comparative study between Japan and Europe. It was more focused on the western part of Europe. He met up with and interviewed companies in the United Kingdom, Germany, the Netherlands, Italy, France, and Belgium. He was then hired at the University of Tokyo, Komaba Campus as a research associate. The research center brought in researchers and professors from different departments. It did different kinds of research that was very ambitious. They had high ambitions in introducing technology into society and having a real impact on people. This interested Professor Mino because at that time because he was working on innovative technological change using a social scientific perspective. Engineers and natural scientists working together with the social scientists to do these kinds of collaborations. Professor Yarime is now working on analyzing university collaborations but back then was involved in participating in collaborations. 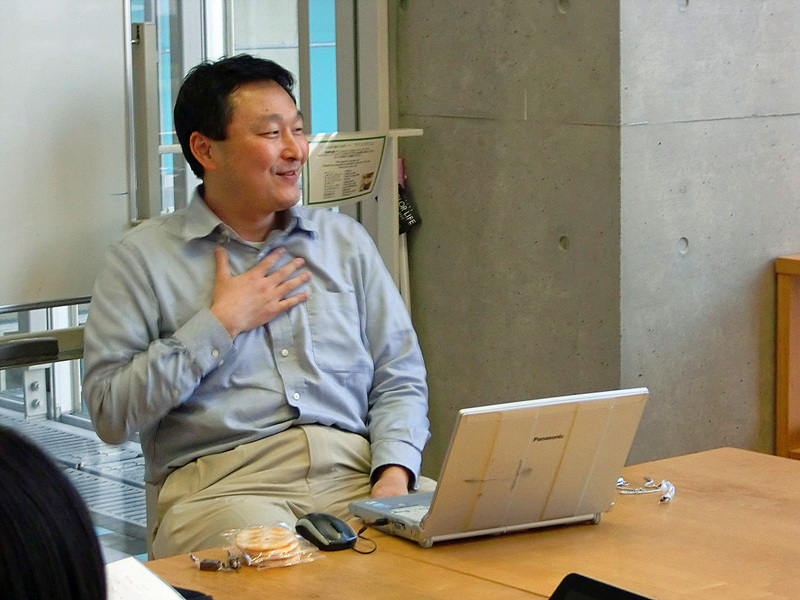 He worked with Prof. Hashimoto and Prof. Fujishima. Prof. Fujishima has been considered for the Nobel prize for the last ten years for his discovery of a photocatalytic properties of titanium dioxide. Prof. Yarime then worked at the Ministry of Education, Culture, Sports, Science and Technology (MEXT) particularly under the National Institute of Science and Technology Policy. Here, he was able to learn and know more about the policy-making process. You had researchers coming from the academia and bureaucrats coming from the ministry who were working together. He was involved in the process of policy making particularly for the Third Science and Technology Basic Plan. The Science and Technology plan is made every five years. Since the ministry has a 25-trillion-yen budget, their activities need to be justified. An analysis made by the ministry showed that increasing the budget for science and technology correlates with an increase in GDP growth. Especially with the government deficit, it is getting harder and harder to justify the spending. Prof. Yarime worked here for a year before going into the academia. Initially, Prof. Yarime worked at the Department of Human and Engineered Environmental Studies, but moved to work under the Graduate Program in Sustainability Science. So from an initial background in chemical engineering, he moved to policy studies and technological change. While he still focuses on innovation studies, he combined his background areas and applied it to sustainability topics. He delved into research that try to substantiate the definition of sustainability, an example of which is the study of systems and its networks. After identifying the network structure, its efficiency will then be measured and its complexity determined. Maybe we can draw lessons from the natural ecosystem which somehow survive different kinds of external stress. How did you decide to pursue research in sustainability science? It seems like there were many options for you. Partly because I work on natural science topics related to policy studies. Something which integrates both is interesting to me. I was looking for that kind of job and then I found a new position here. So it’s partly because of coincidence and partly concerning my background. Getting the position was not that easy. You also need some luck in the sense that the timing of getting your degree needs to coincide with the timing of an available position. That is something that you cannot control by yourself. The move to a different area was motivated by the opportunities available at that time. From your background, you have worked for the government before. Why did you move to the academe? Is it easier to promote change in the society if you’re in the academe? My contract [with the government] was only for three years. And then I only did it for a year before I left because I found a position here. In any case, I saw that it would be useful to try to have some experience working for the government. One thing which I haven’t experienced is working in a private company and I feel that it’s something that I should have done or I should do i future. I still don’t feel the reality of what’s going on within private companies. We do analyses of what goes on in a company and I have never even worked for one. So that’s something that, hopefully, I can do. In academia we can do any kind of research for purely academic purposes. But in the government, we need to do something that’s useful for policy otherwise they would not care about whatever it is you do. You have to be very aware of what is necessary for policy-making–what is important for it. That is somehow different from academic research. I saw that academia has more freedom in choosing topics. And that was interesting to me. I have time to work on areas that interest me. So do you think you could do more here? If you work for the government, does that mean that you always need to listen to your boss? Yes, that’s true in general. In the academia, you’re supposed to have this academic freedom. Freedom to say whatever you want to say. People who do research work for the government still have some freedom in the kind of research they want to conduct, but you need to produce research results or reports which are useful for policy-making. It is not the case that you cannot produce results which are not acceptable to your boss or in the policy-making process. You can, of course, still produce reports which are somehow conflicting to the policy. What is important is to produce something which is appreciated by policy makers. The meaning and the importance of what you do need to be understood by policy makers. That is important. Is it related to the idea that you are interested in the university’s role to achieve sustainability? Do your experiences in the government and university generate those ideas–that the university has to play an important role in our society? Well, yes. It is partly because I have been working in this university doing collaborations in this research area, and also partly because I look into trends in research in innovation studies. In the past, certain things were only considered to be something that a genius or an exceptional individual can create. Thomas Edison, Bill Gates, and so on. It is not so simple anymore. Now, it is more of a collaborative process. You need to have an organization and you need to have the institutions. You have to have a more systemic view of creating innovation. After combining the different factors like education, research, labor markets, financial markets, and so on, you bring in the different expertise and knowledge from different players. The university plays a role in creating innovation and at the same time work with other stakeholders. Looking into sustainability, it is not only one technology nor is it just one instrument. Rather, it is more of a transformative change in the way that we conduct business, policies and activities. Essentially, you need to integrate different activities, then the university can play an important role in coordinating, organizing, and initiating these kinds of things. I believe that the role of universities has been changing. If you look at the past history of the university, especially in the 12th century or the 13th century in Europe, it was initially for teaching in the medieval age. Then came the modern university–the German university. Around the 1920s, they tried to combine education and research and also tried to achieve the objective of teaching students and also creating engineers and researchers. Now we have universities that are expected to contribute to economic development and growth through innovation and different other contributions to industry. That was the case in Japan after the second world war. If you look at the history of the University of Tokyo, the names of many different of the departments are changing. Even the development of chemical engineering, which has a very close link to the chemical industry, and the chemical industry association, and also the bureau of chemical products in the ministry of economy, trade, and industry. So academia, industry, and the government have a kind of triangle and they have created their own community where knowledge is shared. Also, graduates from the chemical engineering department went to these industries or the government and they worked together. So that was a very simplified description but it is the basic model of how the economic development and the development of the industries was particularly in the 20th century in the Japanese context. The universities are more explicitly asked to contribute to the economic growth and development since the 1980s so more innovation was necessary and then we have these sustainability issues not only economic ones. That’s why our program was created and expected to address the challenge of sustainability issues. There are also functions that the university can provide. at the same time, the industry has some technological scientific capacity so in the past, they assumed that professors can provide the latest information. Increasingly, however, in many cutting edge scientific areas, the industries have more knowledge in a sense, so there’s not much that the university can provide. Take for instance the automotive industry: Toyota, Nissan and Honda–they are so strong. I don’t think that professors in the mechanical department can provide so much to them. The industries know far more about existing technologies. Though this is the case only in some areas. Universities have what I call platform function. Universities can provide a platform by inviting stakeholders and working together. In the end, both demand and supply factors contribute to the changing the role that the university can play sustainability science. What about the rules and regulations in academe? How do they affect innovation in research? How do we decide priority of resources for different types of research? Normally, university research is influenced heavily by funding. As you know, there are different kinds of funding for universities. One is what you call kakenhi. This is basically just giving money to researchers, and the university can propose any kind of topic, any kind of research proposal. This is the most flexible funding–you can spend it on almost anything related to your research. And then there are also project-based research funding where the government specifies which topics are important, and certain researchers are invited to take part in these projects. The funding tend to be larger than in the first category because they need to have more collaboration, more team members to work together. In that sense, that will dictate what kind of research the university can do and should do. There’s not much regulation per se from the government with regards to what kind of research you can do unless there are some technical issues like in stem cell research. The third basic science and technology plan identified four areas that are important: the life sciences, information and telecommunications, environmental sciences, and nanotechnology/materials. These areas are prioritized to receive funding from the government. The fourth science and technology plan mentions two innovations: green innovations and life innovations. These can lead to green growth and tackle green economy issues, environmental protection, and somehow economic development and industrial development as well. They need to be pursued at the same time. In that sense, broadly speaking, university research can become government policy. Some departments and faculty are changing their structure. The faculty of engineering, for example, are now moving from a traditional area. If you go to the department of civil engineering, they don’t call it that anymore. Now it is shakai kiban… social infrastructure. They are now also studying how to facilitate consensus among different stakeholders. The contents of research are shifting to a new area. University research cannot ignore what is demanded and what is requested by the society and the government. Sustainability science is still very broad, too complex. Different people have different types of research and they don’t talk to each other enough. If you look at the history of chemical engineering, it was created at MIT in the 19th century by linking chemistry, physics, thermodynamics, and fluid mechanics to create a kind of visibility that is useful for chemistry. Students under the department worked together with people in the industry, went on to work for them, and then provided feedback back to the academia. So they created a sort of feedback loop of knowledge creation. To do so, you need to identify the key stakeholders. One problem in sustainability science is that you still have not located the key stakeholders. Who are your main customers in the industry? Who can really understand and utilize the knowledge that we do in this program and then apply it? Otherwise, we can’t get useful feedback from society in general. Without that, I don’t think you can develop academic disciplines. At this stage, sustainability is not yet at that level. So people still talk about many different things, different contexts, and different methodologies. They do not accumulate in a structural way. I think that’s a problem.